Perfect for first time home buyers or investors. MLS#3490668. Lake Norman Realty, Inc..
River Run - 2nd and 3rd bedrooms are a decent size...No HOA.. MLS#3490684. Keller Williams Mooresville. With the fencing and mature landscaping, this property offers privacy and beauty in the yard! MLS#3487371. Carolina Landmark Realty. Perfect low maintenance home for city living. MLS#3490751. Excel Real Estate Group. Country Club Estates - This character filled home has 6 bedrooms, formal dining/sitting room, office space/sun room, that give plenty of space for entertainment, children or AirBnB potential. MLS#3485572. Rocket Homes Real Estate LLC. HIGHEST AND BEST OFFERS BY 12:00pm TUESDAY APRIL 2nd MLS#3490479. Tarheel Realty II. Renter in home with year lease thru Jan. 2020. A must see! MLS#3490231. Allen Tate Statesville. Great location, walking distance to school and shopping. MLS#3490234. Allen Tate Statesville. Shannon Acres - Beautiful golf course views from the private master bedroom deck! MLS#3489707. Allen Tate Statesville. Country Club Estates - Full basement, tons of storage, must see! MLS#3489535. Allen Tate Statesville. *Safe below stairs remains in home. MLS#3489014. WEICHERT, REALTORS- LKN Partners. Has a dual controlled heat and air system. MLS#3489991. Estes & Associates. 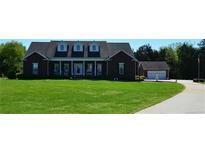 Very Quiet Neighborhood, Minutes Away From I-40, Restaurants, Parks and More! MLS#3489869. Victory Real Estate Inc. Seller may contribute up to 3% for buyer’s closing costs, upon buyer request. SERIAL #GAFL434A77654-EX13 MLS#3489486. RE/MAX Properties Plus, Inc..
Wildwood Estates - This home will not last long! MLS#3485860. Roost Real Estate. Also listed as separate lot and house without lot. MLS#3488592. EXP REALTY LLC. Other remodels taking place nearby. Get in now! MLS#3489178. Odell Realty, LLC. The adjoining parcel is over half an acre and could support multifamily based on the zoning of R20. 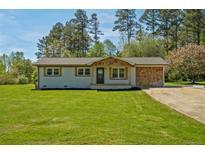 MLS#3488500. Keller Williams Lake Norman. Barium Seasons Village - Large fenced in yard with a beautiful fire pit, large outdoor deck and covered patio area off of basement. MLS#3485821. Keller Williams Mooresville. Storage shed in back yard. Show & Sell! MLS#3488969. Dillahunt Realty. White picket fenced yard adds to the appeal of this adorable home! Convenient location just minutes shopping! MLS#3488754. Tarheel Realty II.